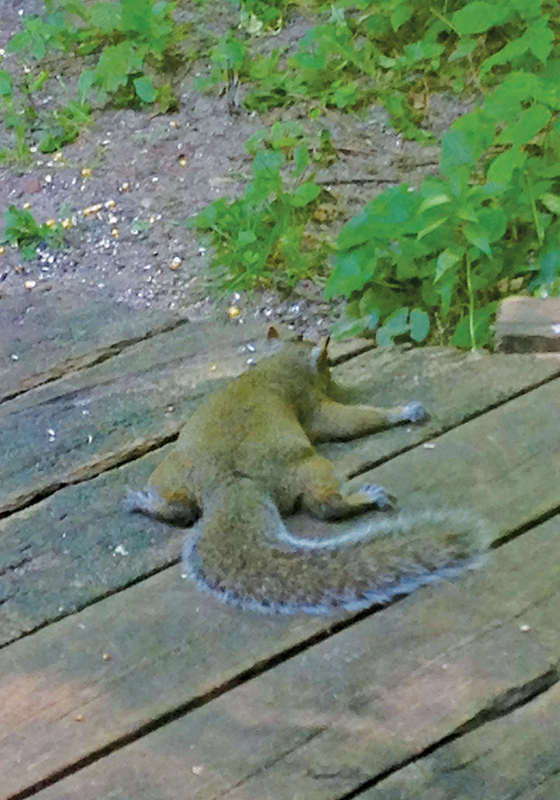 It looks like we weren’t the only ones feeling like this over the weekend—even this squirrel is trying to get cool! 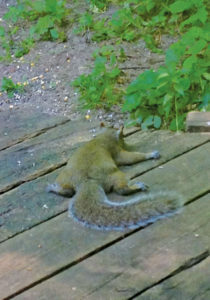 Yuko Roberts, of Solon Township, took this photo of the squirrel on her deck, near Upper Lake. Temperatures over the weekend were in the 90s, with the heat index in the low 100s.